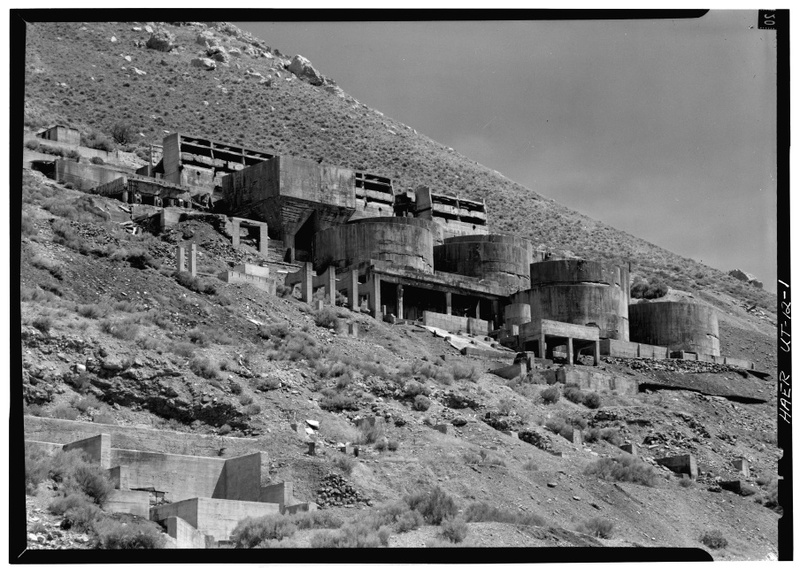 The Tintic Standard Reduction Mill—also known as the Tintic Mill or Harold Mill—built in 1920, and only operating from 1921 to 1925, is an abandoned refinery located on the west slope of Warm Springs Mountain near Goshen, Utah. Metals processed at the mill included copper, gold, silver, and lead, all of which were received from another mill near Eureka, Utah. The reducing process used was an acid-brine chloridizing and leaching process which became outdated, leading to the abandonment of the site in 1925. At the mill’s highest productivity it processed 200 tons of ore yearly from the Tintic Mining District. Many people driving from Goshen towards Genola and Santaquin see the Mill up on the mountain and wonder what it is, it is quite curious looking.